This 1969 Corvette Stingray is a head turner every time you take it out! The big block 427 paired to a 4 speed manual has enough torque to leave you breathless after a night of cruising. This car is special because it is an all original numbers matching L36 motor putting down 390hp. This was one of the top of the line motor combinations of the day. The rear independent suspension and high gear ratio matched with the 4 speed manual really make this a fun car to drive even by today’s performance standards. The blue interior is a pleasure to sit in and the white looks gorgeous. If you are looking for an all original 69' Corvette with the same drivetrain it was born with, this is your car! 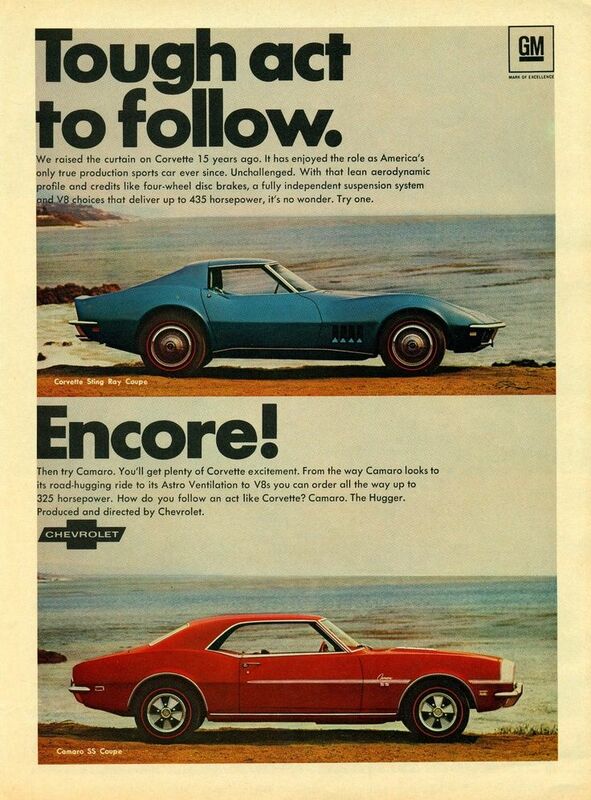 For the new C3 generation, both the Corvette body and interior were completely redesigned. As before, the car was available in either coupe or convertible models, but coupe was now a notchback fitted with a near-vertical removable rear window and removable roof panels (T-tops). A soft folding top was included with convertibles, while an auxiliary hardtop with a glass rear window was offered at additional cost. Included with coupes were hold down straps and a pair of vinyl bags to store the roof panels, and above the luggage area was a rear window stowage tray. The enduring new body's concealed headlights moved into position via a vacuum operated system rather than electrically as on the previous generation, and the new hide-away windshield wipers utilized a problematic vacuum door. The door handles were flush with the top of the doors with a separate release button. Front fenders had functional engine cooling vents. Side vent windows were eliminated from all models, replaced with "Astro Ventilation", a fresh air circulation system. In the cabin, a large round speedometer and matching tachometer were positioned in front of the driver. Auxiliary gauges were clustered above the forward end of the console and included oil pressure, water temperature, ammeter, fuel gauge, and an analog clock. A fiber-optic system appeared on the console that monitored exterior lights and there was no glove box. The battery was relocated from the engine area to one of three compartments behind the seats to improve weight distribution. New options included a rear window defroster, anti-theft alarm system, bright metal wheel covers, and an AM-FM Stereo radio. All cars ordered with a radio, like the C2 cars, continued to be fitted with chrome-plated ignition shielding covering the distributor to reduce interference. The chassis was carried over from the second generation models, retaining the fully independent suspension (with minor revisions) and the four-wheel disc brake system. The engine line-up and horsepower ratings were also carried over from the previous year as were the 3 and 4-speed manual transmissions. The new optional Turbo Hydramatic 3-speed automatic transmission (RPO M40) replaced the two-speed Powerglide. The L30, a 327 cu in (5.4 L) small-block V8 engine rated at 300 hp and a 3-speed manual transmission were standard, but only a few hundred 3-speed manual equipped cars were sold. The 4-speed manual was available in M20 wide-ratio or M21 close-ratio transmission versions. The M22 “Rock Crusher”, a heavy duty, close-ratio 4-speed gearbox, was also available for certain applications. The engine line-up included the L79, a 350 hp high performance version of the 327 cu in (5.4 L) small-block. Also available were several variants of the big-block 427 cu in (7.0 L) V8 engine, that taken together made up nearly half the cars. There was the L36, a 390 hp version with a Rochester 4-barrel carburetor; The L68, a 400 hp motor with a Holley triple 2-barrel carb set up (3 X 2 tri-power); The L71, generating 435 bhp at 5,800 rpm and 460 lb?ft at 4,000 rpm of torque also with a tri-power; The L89 option was the L71 engine but with much lighter aluminum cylinder heads rather than the standard cast iron. Then there was the L88 engine that Chevrolet designed strictly for off-road use (racing), with a published rating of 430 hp, but featured a high-capacity 4-barrel carb, aluminum heads, a unique air induction system, and an ultra-high compression ratio (12.5:1). All small block cars had low-profile hoods. All big block cars had domed hoods for additional engine clearance with twin simulated vents and “427” emblems on either side of the dome. The new seven-inch wide steel wheels had F70x15 nylon bias-ply tires standard with either white or red stripe tires optional.